A few weeks ago I posted a guest post by “the peche” He had a link to Thomas Keller recipes on his site that also included the Keller House Vinaigrette. I made the recipe today, but cut the amount in half. 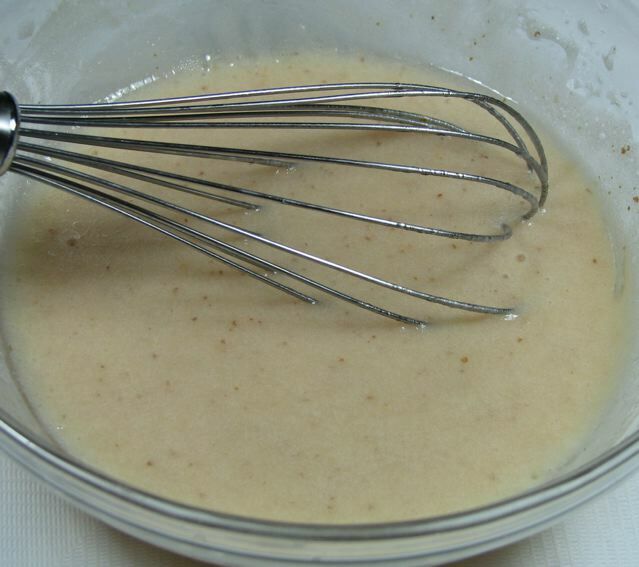 Whisk the Dijon mustard and red wine vinegar together in a bowl and slowly whisk in the canola oil until it is well blended. It will thicken as it emulsifies. Your arm will feel like falling off.. I know this because mine felt like it would.. so if you wish, use a blender to combine and slowly drizzle the oil in. Categories: Side Dish - Sauces, Thomas Keller- Bouchon | Tags: Homemade Vinaigrette | Permalink. My husband and I escaped to Las Vegas for the weekend (without children). 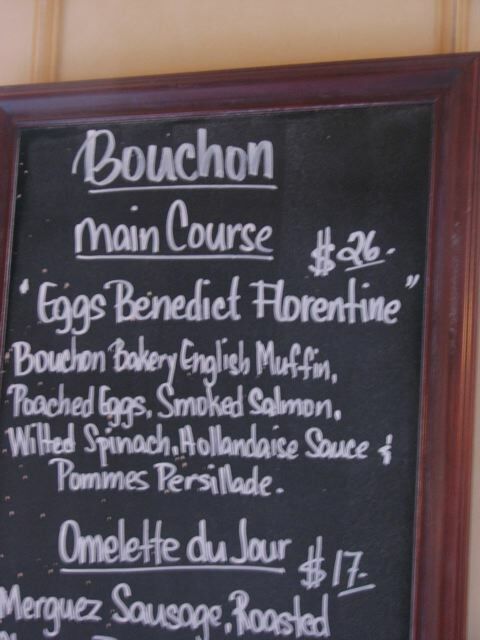 For breakfast on Saturday we ate at Thomas Keller’s restaurant “Bouchon” in the Venetian Hotel. There I ordered their Eggs Benedict Florentine, which was their special for the day. I must say it was VERY SPECIAL! I love to cook and I consider myself a good cook, but after taking my first bite of their eggs I realized something: I cannot cook eggs (like that!) They were the best I had ever eaten EVER! I am getting pretty sappy about this love affair I have with eggs and especially eggs benedict. I have a soft spot in my heart for it! 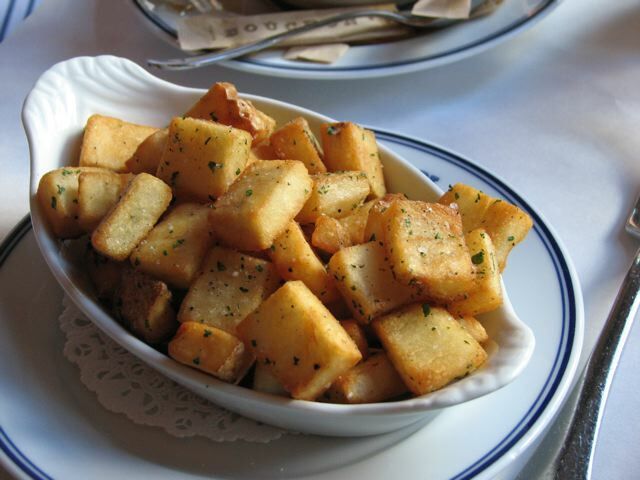 Their potatoes were also not half bad — not over seasoned, crisp on outside and soft on inside. 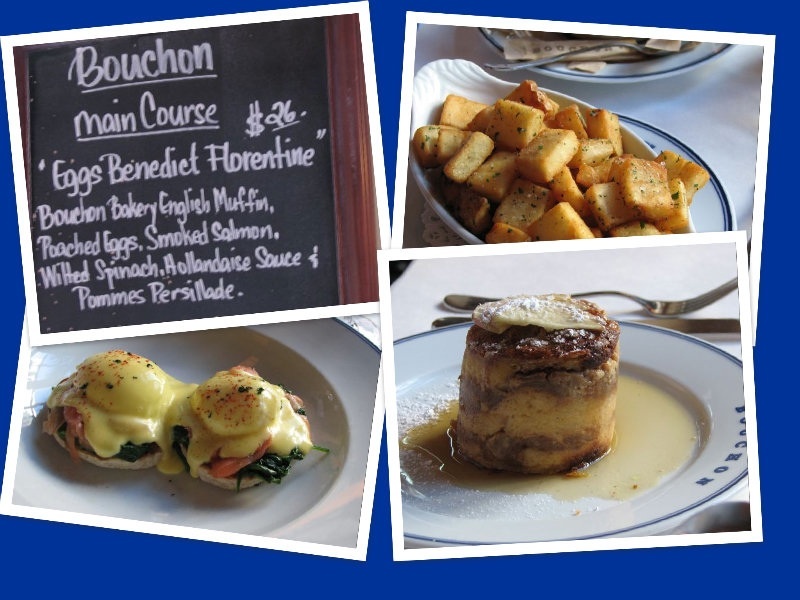 If ever in Las Vegas and you have the opportunity to eat at Bouchon, please do! It’s not cheap, but it is OH so good! 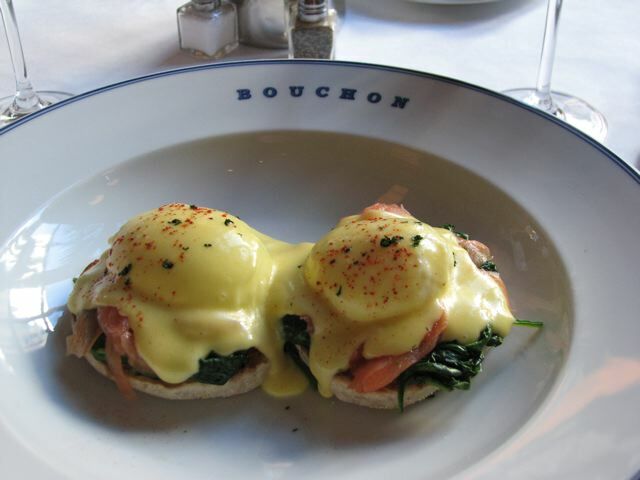 Categories: Breakfast - Eggs, Eating Out, Thomas Keller- Bouchon | Tags: Bouchon, Eggs Benedict, Eggs Benedict Florentine, Las Vegas, Thomas Keller | Permalink.